Several years ago, I found a Black Grouse site in an out of the way corner of North Yorkshire but my photo attempts here had strictly limited success and involved trying to use the local stone walls as cover. So when I heard about a lek site in Wales, right by a road I jumped at the opportunity to try for some better results from the comfort of the car! We booked two nights in a local hotel but on the first morning the weather was truly atrocious which ruled any useful photography. However the second morning was much better and these birds were remarkably close at times, especially at first light. This was one of the last shots I got as the sun made its first appearance, which created better contrast. 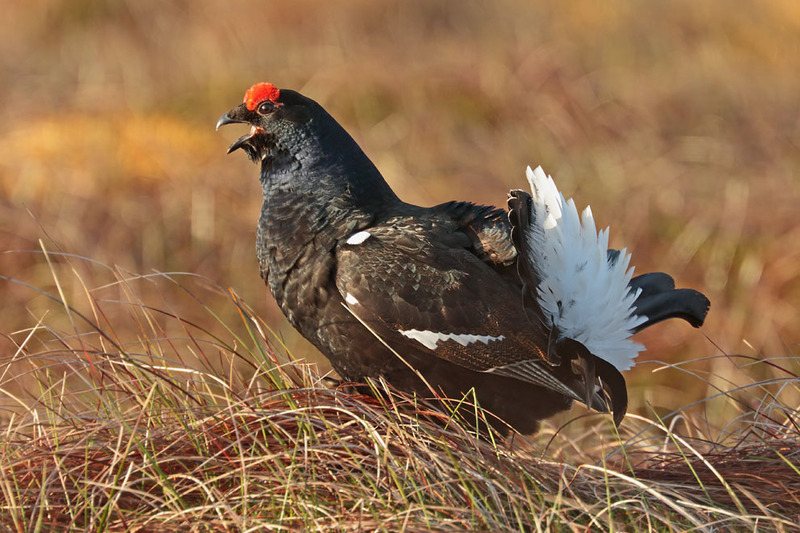 Shortly afterwards the birds quickly dispersed, not helped by disturbance from other grouse watchers.